This sautéed pea recipe is the perfect combination of vegetables and herbs as far as I am concerned. I also love figuring out different ways to flavor vegetables using my favorite herbs and spices. 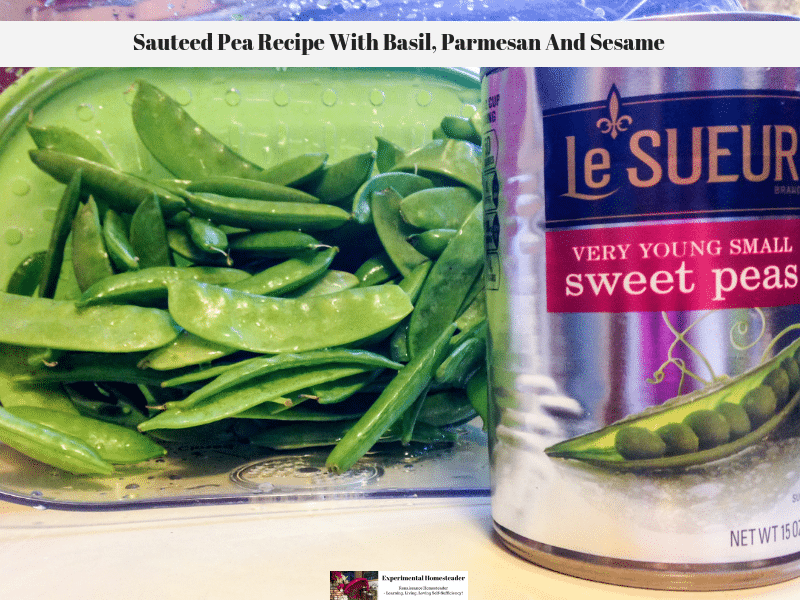 This sautéed pea recipe with basil, parmesan and sesame not only let me use fresh sugar snap and snow peas from the garden but I was also able to make use of the Thai basil I was growing. I used a can of store bought peas for convenience- and you can see the difference in color between the canned peas and the fresh peas. 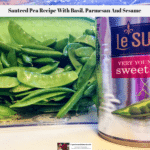 You could shell peas, frozen peas or simply use a combination of fresh sugar snap peas and snow peas if you preferred. Other items you can substitute include the variety of basil. I used Thai basil because I had an abundance of it growing in my garden, but sweet basil would work just as well. I used black sesame seeds but you could use white sesame seeds or a combination of the two colors. I also sprinkled fresh grated parmesan on the top of the peas right before I was ready to serve them. So now that you have a few ideas of how you can alter this recipe to suit your families taste, here is the recipe. Add sesame seeds and chopped basil leaves to melted butter, stir. Add fresh peas to butter mixture and lightly sauté for 2 to 3 minutes. Add canned peas and salt or pepper as desired. Stir well and heat until peas are hot. Remove the skillet from the heat and lightly sprinkle cheese on top if desired. 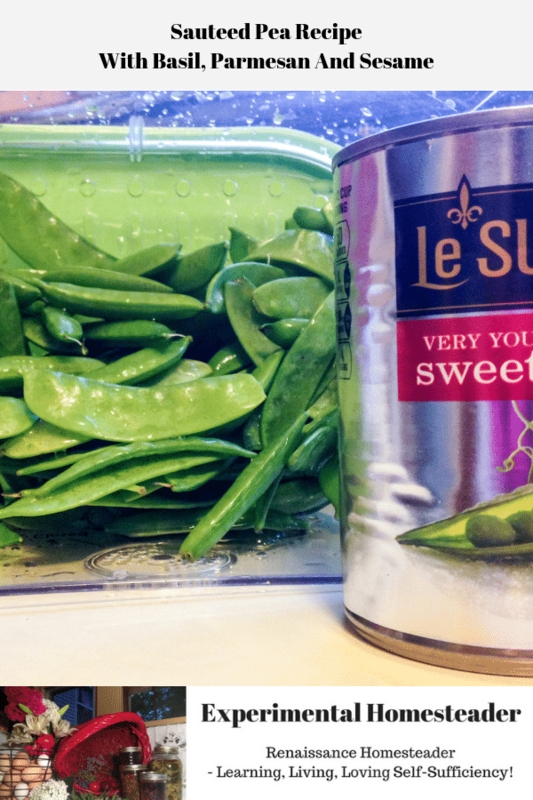 You can cook the sugar snap or snow peas longer if you prefer them to be less crisp. Be sure not to add the canned or frozen peas to the skillet until you are almost ready to finish the dish or they will turn to mush. This sautéed pea recipe is super easy to make – and it tastes great!